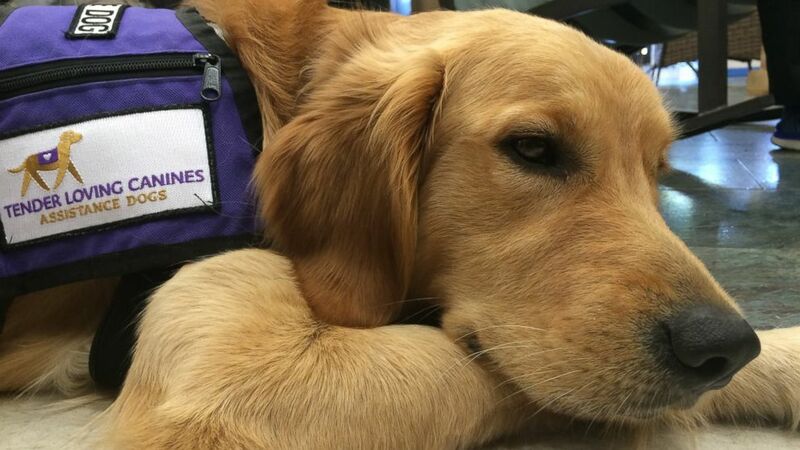 "These dogs are helping heal the inmates," a trainer said. Inmates at two prisons in California are helping train puppies to become service dogs for wounded veterans and people with autism. 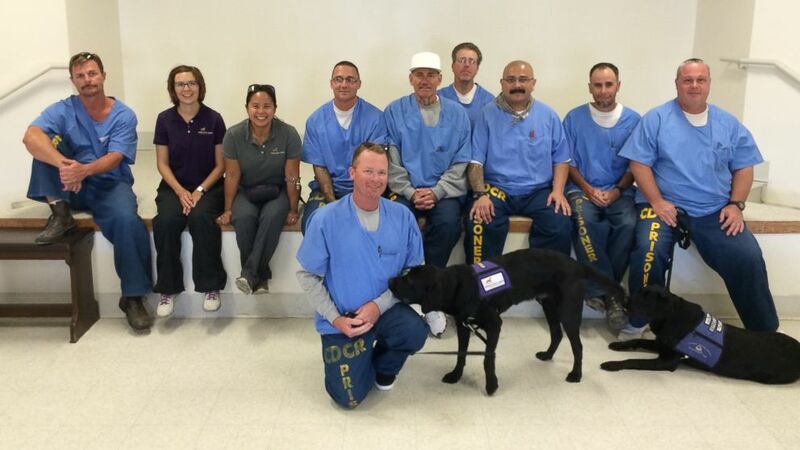 The group of inmates are part of a program called POOCH, which stands for Prisoners Overcoming Obstacles and Creating Hope, according to Stephanie Santos, training director for Tender Loving Canines Assistance Dogs, Inc. (TLCAD). TLCAD started its pilot program at the Richard J. Donovan Correctional Facility in San Diego, where three of four dogs successfully graduated, Santos told ABC News. 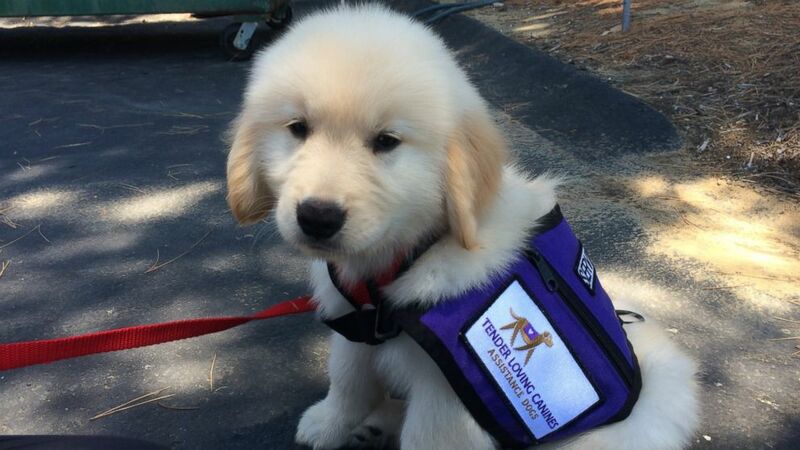 The three newly certified service pups are now in the process of being placed with clients -- including an active Marine and a facility that serves people with learning disabilities. (Tender Loving Canines Assistance Dogs, Inc.) Groups of inmates at the Richard J. Donovan Correctional Facility in San Diego, California, and at the Mule Creek State Prison in Ione, California, are helping train puppies to become service dogs with the help of professionals with Tender Loving Canines Assistance Dogs, Inc.
A POOCH program has also been launched at the Mule Creek State Prison in Northern California in the city of Ione, Santos said. There, a group of inmates are currently training and living with three puppies, only 9 to 10 weeks of age, she said. "You can tell that the mood on the yard instantly changes when the dogs are there," Santos said. "When the puppies first came to Mule Creek, the inmates were so concerned for the puppies that they insisted on carrying them so they couldn't burn their paws on the ground. It was so sweet." Inmates involved in the program are taught how to use positive reinforcement methods to train the puppies, she said. "Positive reinforcement has been really nice for the inmates in terms of its rehabilitative aspects," Santos explained. "It teaches the inmates empathy and the difference between teaching and commanding." One inmate told Santos that he hadn't pet a dog in over 40 years, she said, explaining that dogs bring a lot of healing to prisoners in the yards. "These dogs are helping heal the inmates, and in turn, these inmates are helping train dogs who will then make a difference in the lives of the people who need them," Santos said. The California Department of Corrections and Rehabilitation, which operates Richard J. Donovan Correctional Facility and Mule Creek State Prison, did not immediately respond to ABC News' requests for additional comment.